Summary: This is a brilliant thriller, a drama that slowly simmers to the perfect nightmare. As U.S. Marshal Teddy Daniels (DiCaprio) embarks on a mysterious new case, he’s unusually unsettled on approach to the eponymous ‘Shutter Island’; a notorious mental facility on a remote fortress-like island. It’s a dark place, the vibes apparent as soon as they set foot on land; with everything from the twitchy guards to the uninviting new terrain, and even the imposing musical score reinforcing this. With recently appointed deputy Chuck Aule (Ruffalo) in tow, he’s here to investigate the mysterious disappearance of Rachael Solando (Mortimer) a mental patient accused of killing her own children, who has seemingly vanished from the secure facility… Chief Psychologist Dr Cawley (Kingsley) is somewhat reticent about the disappearance, submitting titbits of information, though it always seems there’s more to the story than people are letting on. Daniels keeps up his investigation and pursuit of Solando despite the frosty demeanour of all at Ashecliff Mental Hospital. This is a watertight contraption, a nigh on perfect psychological thriller from master auteur Scorsese, in what is one of his most accomplished works yet. Coming from a Director of the calibre of Taxi Driver, Raging Bull and Goodfellas, this is no mean feat. This is intentionally dark, atmospheric and tense to the point of distraction, with an eeriness not far from my visit to similarly placed Alcatraz a few years back. Each frame is dripping with tension, perfectly lit with gothic undertones and a decrepit other-worldly tone befitting its nightmarish setting in 1950’s Massachusetts. Marty is the master of his craft and this is the ultimate brainteaser (or headf***) as it is brutal, stunning, vitriolic and scary at the same time. You’re on the edge of your seat throughout as it swiftly navigates twists and turns to make you question everything, literally. It’s like a puzzle without that final image or destination in sight. As you add a few more pieces, it resembles something new; with more clues. Add a few more and the picture changes drastically, as does your approach to this unending riddle. The performances are also on point, with DiCaprio the mirror that reflects all the delusions, confusion, the angst and paranoia that we feel whilst embarking on this journey with him. In battling his own tragic past and demons, reality and events blur to produce a nightmare of his own. Sir Ben as Doctor and chief shrink is mysterious and measured, whilst the rest of the ensemble are brilliantly on edge. Especially Elias Koteas who looks spookily like a crazed Robert De Niro in an ethereal cameo; the thought of it! Well we are always hoping for Scorsese’s greatest collaborators (De Niro, DiCaprio) to… well… collaborate. This is a brilliant thriller, a drama that slowly simmers to the perfect nightmare; taking its conclusion right to the wire. 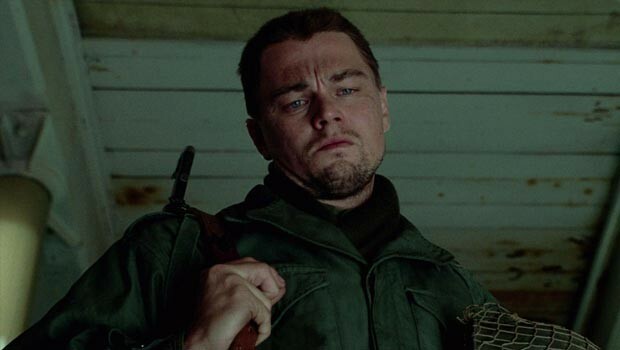 If you’re into gothic horror, film noir or simply a damn good drama, take the ferry to Shutter Island.